BMW X5 XDrive 35d – Well-crafted German engineering, ergonomically- pleasing and attractively styled, the 2010 midsize luxury BMW X5 XDrive 35d provides strong diesel power (265-hp in a turbodiesel inline-6 with 6-speed automatic transmission with manual shift control) and a third row seat for consumers who are looking for that little extra room. 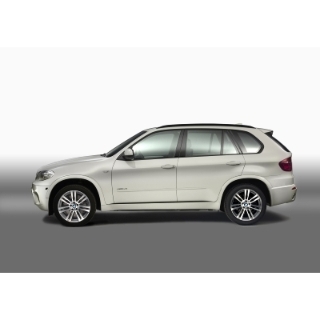 With sporty handling, standard all-wheel drive, upscale and well-equipped cabin, and available 7-passenger seating, BMW X5 hits all the right notes, albeit a bit pricier than the competition. Mother Proof says of the 2009 BMW X5, “I loved the look of the X5 diesel. In fact, it’s fair to say that I think that BMW makes attractive cars across the board. They have a rich, sporty look about them and the X5 diesel is no exception. 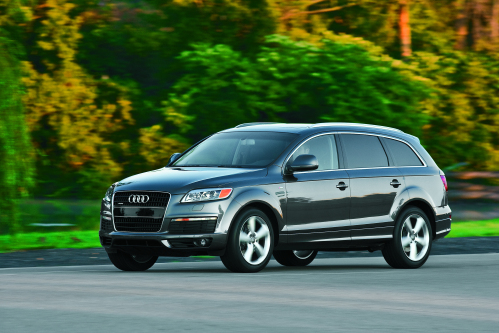 Take out any or all of these Best Diesel SUVs with 3rd Row for a test drive. You are sure to find a winner among them. But, as always, do your homework and shop for the best deal. See list of all diesel SUVs. See also list of all diesel trucks. Maybe you can update this list? Today, there are much more quality diesel SUVs. For instance, Volvo XC90 or Jaguar F Pace.